The two candidates at Monday night’s presidential debate weren't only communicating through their words — they were sending clear messages through who they’ve invited to the debates as special guests. Republican nominee Donald Trump’s invitation to Ret. Gen. Michael Flynn, his military advisor and a former runner in the Trump Veepstakes, sent a powerful message to some of Trump’s most conservative military supporters. 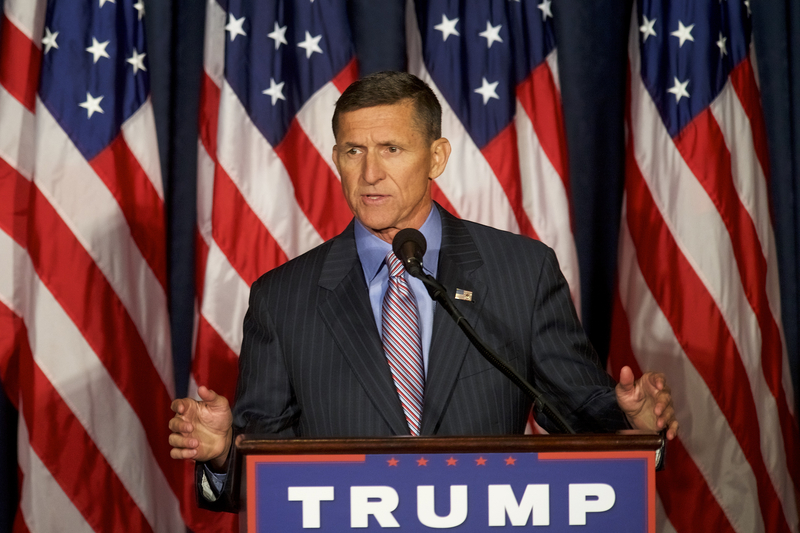 Flynn made waves over the summer when he published an op-ed in The New York Post titled “The military fired me for calling our enemies radical jihadis.” Flynn’s outspokenness as director of the Defense Intelligence Agency against the Obama administration may have ended his tenure at the organization early, but earned him credit in conservative circles. Since his retirement, Flynn has become an outspoken critic of the Obama administration’s approach to conflicts in the Middle East, claiming that the president was ignoring intelligence about the growing threat of ISIS to create a narrative beneficial to the Democratic party in the 2016 election. The administration, of course, flatly denies this. In addition to advising Trump, Flynn was present at the Republican candidate’s intelligence briefings, which became infamously contentious after Trump suggested after the briefing that the officials’ “body language” suggested that they “were not happy” with the Obama administration. Flynn’s willingness to openly bash the Obama administration on military and intelligence matters makes him a valuable player in the Trump organization, sending a signal to those Trump supporters who dislike Obama’s military approach in the Middle East and around the world. His presence as Trump’s guest at the debate will be heard loud and clear.